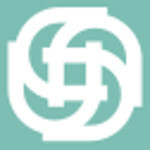 WIDE RANGE OF ANCESTRAL TECHNIQUES FOCUSED ON RESTORING NATURAL BALANCE OF THE BODY-MIND-SPIRIT, AND WITHOUT ADVERSE SIDE EFFECTS. Shiatsu. Lie down on the futon and let yourself be carried away by the pressures, stretches, mobilizations, rotations and contacts sustained in different parts of your body. This will improve your discomfort, your energy flow, your blood circulation, your flexibility and posture, as well as your mood. And all on a basis of relaxation and rest. On the futon or on the massage table, and through hands that understand what your body is trying to express, will make your endorphins (happiness hormones) invade your entire body and create a space of well-being and tranquility. Oils, aromas and music become perfect allies to make massage an unforgettable sensitive experience. Are you ready to feel? 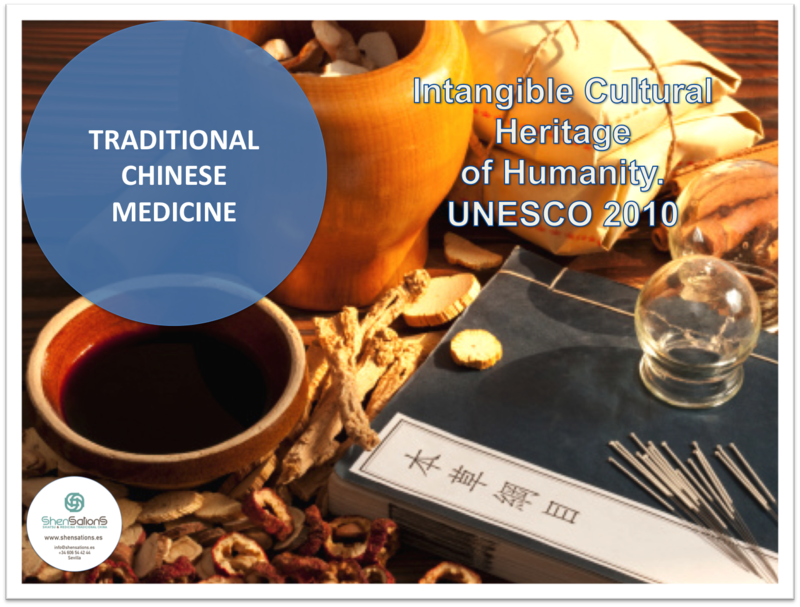 Traditional Chinese Medicine (TCM) is a system of preserving and recovering well-being, based on working on balance and harmony, understanding these concepts both individually and globally. Throughout the centuries it has been integrating new knowledge, adapting and conserving the knowledge of its ancestors. 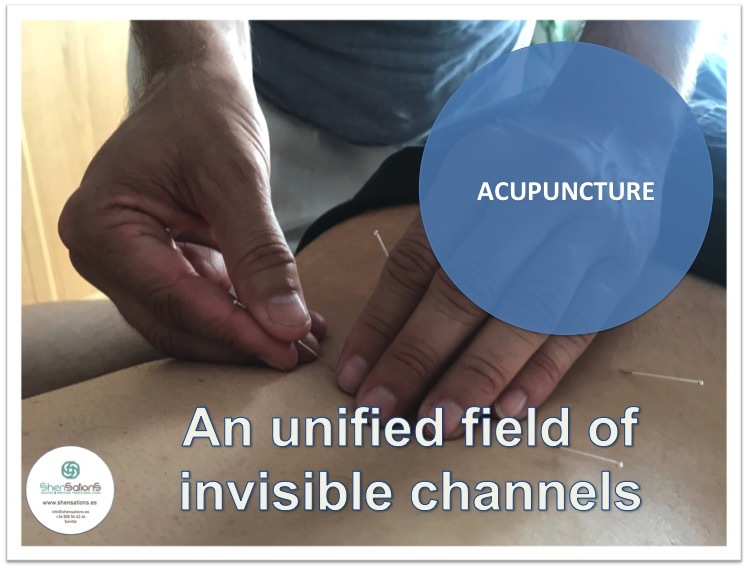 On the massage table, and with the pressure of the fingers, probes or other auxiliary tools, the doors will be opened to a unified network of invisible channels, which will exert a profound influence on the general balance of the organism. All the physiological processes of the organism will be regulated through the activation of the homeostatic function of the autonomic nervous system; the actions will be carried out in different body resonator points. Are you cold? Are you exhausted? Do you have any discomfort? 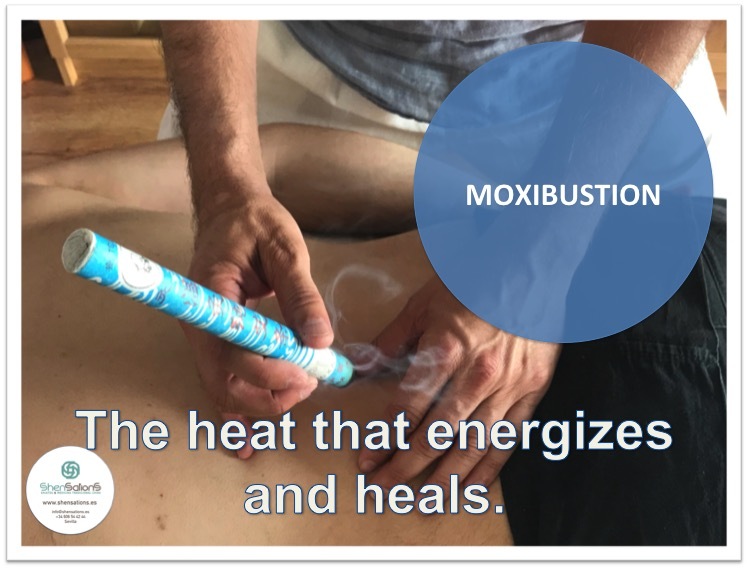 If so, let yourself be seduced by the heat that energizes: the Moxa. It eliminates cold and humidity, activates blood circulation, moves energy, eliminates stagnation, prevents discomfort, strengthens and increases vitality. It is undoubtedly one of the most used techniques and with very good results. Are you going to miss it? Olympic champions such as Phelps apply cupping before most competitions. 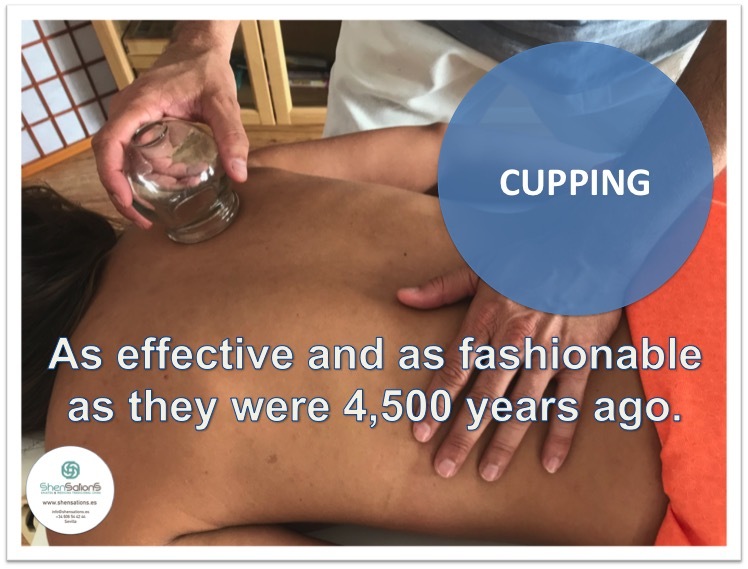 The suction of the cupping brings blood to the surface of the skin, improves circulation, reduces tension and relieves muscle discomfort, improving the recovery process. Its application promotes the production of cytosine, activating vitality. Chronic discomforts, tensions, blockages, rigidity, etc? By inducing a movement in which we offer a slight resistance in the final stage, the patient's body begins to mobilize other adjacent muscles to share the initial movement (chained movement). If there is a structural imbalance, the natural movement of the body is affected. 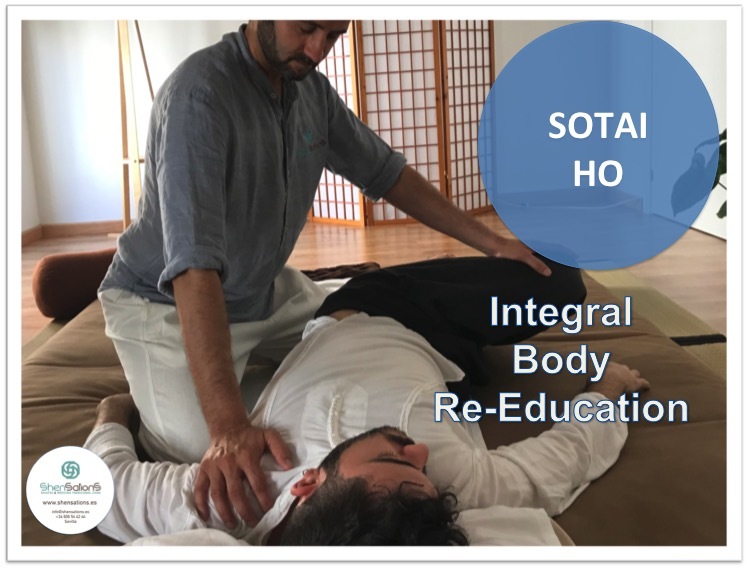 Sotai Ho helps postural re-education and the recovery of body balance, relieving and eliminating tension and discomfort. Our abdomen is a physical and energetic center. Our vital energy flows through the body's internal channels, nervous system, blood vessels and lymph glands. All of this is concentrated and intertwined there, which acts as your control center, and is also a reflection map of our internal organs. There, the tensions, worries and pressures of the day, month or years accumulate and rarely dissipate. These alterations cause a physical entanglement and a gradual obstruction of the energetic circulation. Do we eliminate them? The Tao is a supreme state of the BEING; a sublime state that is deeply enclosed in the interior of every human being. Are you willing to experience it? 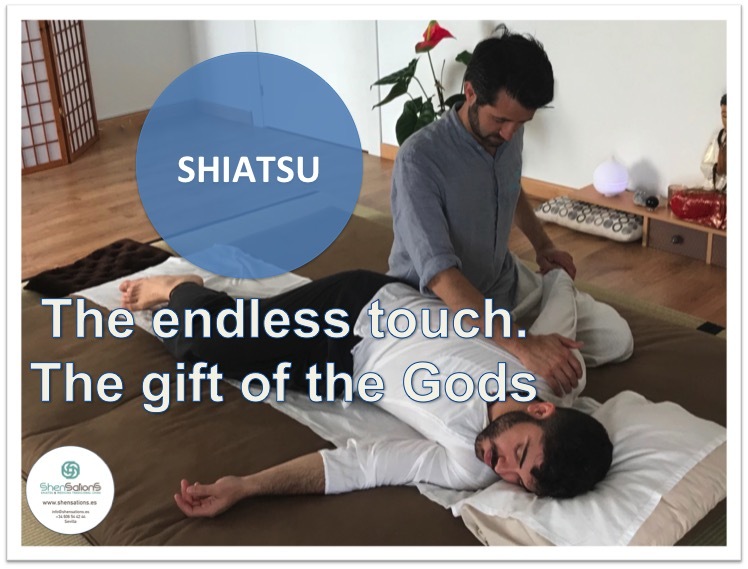 Fusion has always made being evolve in a more creative way, and this is the goal of merging Massage and Shiatsu. Integrate yin and yang, to feel the Whole. - Action and stillness, cold and heat, superficiality and depth, head and feet, prone and supine, body and mind -. Fusion with TAO. 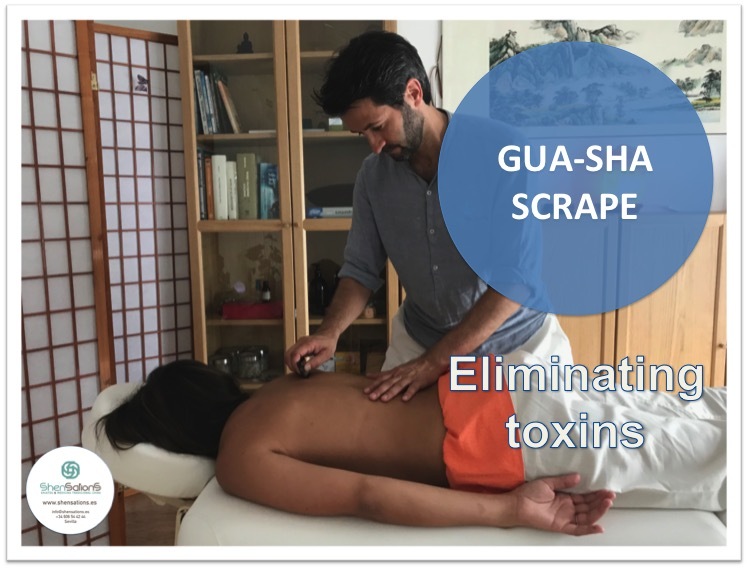 Through "scraping" on the skin, we eliminate toxins, blood and stagnant body fluids, as well as waste, which cause discomfort. We mobilize the red blood cells with extravasation of the capillaries, facilitating the entry of new fluid, rich in oxygen and nutrients, promoting the circulation of Qi, Blood and Lymph, thus raising the level of our defenses when making leave the pathogenic agents, via excretion or through the skin. The scraping that makes us feel happier and more beautiful. Everything is connected and interrelated. As with a remote control we can open doors, switch on/off equipment..., with Auriculotherapy, we can treat the external surface of the ear, in order to relieve or act in other regions of the body. It keeps an intimate relation with the central nervous system and perceives the alterations of tissues and systems. Fast effectiveness. From Korean, SU (Hand) JOK (Foot). It is applied simply, quickly and painlessly with the help of massages, nanopuncture probes, su-jok rings and / or seeds. Our body stores its experiences in the form of metaphors. Would you like to find a space where you feel listened to, without being judged or analyzed? Well, this space is provided by clean language, which through a conversation with clear and simple questions, you will be able to emanate those metaphors stored in your unconscious, making them conscious. Traumas buried for years are now released when they are heard and received without judgment. Clean language will help you understand that you are the architect of your own life.